Organised by Living Ocean, Sarah Tait and Sally Gole with the Av Green Team spreading the word and gathering the troops. Warrumbungle National Park in Central Western NSW has been declared Australia’s first Dark Sky Park, recognising and protecting its key role in astronomical research. Planning Minister Rob Stokes and Environment Minister Mark Speakman welcomed the park’s new status, following confirmation from the International Dark Sky Association. Mr Stokes said the park’s dark sky qualities will be protected with $100,000 in funding to control light pollution through implementation of updated planning policies. A new Dark Sky Planning Guideline has also been developed with the Australian Astronomical Observatory as part of the NSW Government’s review of state planning policies. “It’s an outstanding place to view the night sky and, with the nearby Siding Spring Observatory, plays an important role in Australian astronomical research. Member for Barwon Kevin Humphries welcomed the Dark Sky Park declaration. “Warrumbungle National Park is a place our local community has always treasured, and I’m delighted it’s now been recognised in this way,” Mr Humphries said. Australian Astronomical Observatory Head of Lighting and Environment Professor Fred Watson led the nomination for the Warrumbungle National Park to be Australia’s first Dark Sky Park. This video tour shows the Siding Spring Observatory and its surrounds. Created to showcase SSO for Starfest Open Day 2014. Siding Spring StarFest celebration will be held on the weekend of the 1st of October 2016. Can’t make Open Day but would like to see the talks? We will be streaming the talks live on the day. Siding Spring Observatory (we will have the Mud Map and Program closer to the day to help you plan your day). Remember to pick up your What’s On booklet on the day! There’s a whole day of activities – view the Mud Maps for Open Day, (will be available closer to the day). Do I Have To Book: No! Just rock on up – we would love to see you! Dr Amanda Bauer is an Astronomer and Outreach Officer for the Australian Astronomical Observatory. In 2015, she was named in the “Top 5 Under 40” among Australian Science Communicators and Researchers and received the Australian Institute of Physics NSW Community Outreach to Physics Award. Amanda uses earth-based and orbiting space telescopes to explore variations in how galaxies formed, how they lived their lives, and how they evolved into the diverse array of galaxy species we see today. You can find her online as @astropixie at http://amandabauer.blogspot.com/. What will happen to our Milky Way Galaxy when it inevitably crashes into the titanic Andromeda galaxy? A lot of change! But no need to worry about this cosmic disaster during our lifetimes, though, as the head-on collision will not occur for another 4 billion years. This presentation takes the audience through the story of our Galaxy, from its formation soon after the Big Bang, to the distant future when the stars are no longer burning. The Milky Way Galaxy is an exciting place to call home! To book your seats is free but a gold coin donation is appreciated on the day - all donations to the NSW Volunteer Rescue Association (VRA))Book your seats at Sticky Tickets now! Siding Spring Observatory (SSO), on the edge of the Warrumbungle National Park near Coonabarabran, NSW, is Australia's premier optical and infrared observatory. The Australian National University’s Research School of Astronomy and Astrophysics (RSAA) operates its research telescopes, and hosts those of other institutions at this spectacular location next to the picturesque Warrumbungle National Park. You can learn more about the various telescopes and organisations that own and run them on the telescopes of SSO http://rsaa.anu.edu.au/observatories/telescopes page. SSO is a working research facility and as such it has no public star-gazing facilities. The Observatory and its surrounds are closed to the general public from 4pm each day. • A visitor centre with informative and educational displays about telescopes and astronomy. • A cafe and shop at the visitor centre that is stocked with great food and gift ideas. Morning and afternoon teas and light lunches are available - contact us for group pricing. • Our annual StarFest celebration is held in October. You can meet our astronomers and discover more about the observatory and the science that we do here. • School holiday activities, including guided walking tours of the observatory and talks by astronomers and scientists. • Tours for groups of all ages can be organised on request. Please contact the visitor centre in advance for pricing and availability. A minimum group size of 15 applies for all tours. • View upcoming events and activities at SSO on the activities page. Email us for information about our school education programs, or Ask an Astronomer a question about astronomy or telescopes. The Siding Spring Exploratory houses a small astronomy exhibition area with hands on activities for the whole family. Enjoy a great coffee, lunch or a snack at the Exploratory café and browse the wonderful variety of souvenirs and gifts available. The Australian Astronomical Observatory houses the Anglo-Australian Telescope which is the largest telescope in Australia. The AAT is an impressive two storeys high and holds a 3.9m, 16 ton ceramic glass mirror. Inside this massive dome is a visitor viewing gallery open to the public and free of charge. From the gallery you can see the telescope and read about its history and the discoveries it has made. Behind the AAO building is a lookout which over looks the iconic Warrumbungle National Park. Take a moment to view the natural beauty of the landscape surrounding Siding Spring Observatory. Please call us for more information on opening times. The Warrumbungles are a mountain range in the Orana region of New South Wales, Australia. The nearest town is Coonabarabran. The area is easiest accessed from the Newell Highway which is the major road link directly between Melbourne, Victoria and Brisbane, Queensland and cuts across inland New South Wales from the north to the south. As the range is between the moist eastern coastal zone and the dryer plains to the west, it has provided protection for flora and fauna suited to both habitats. There are over 120 bird species identified on the range, including lories and lorikeets, rosellas and parrots. The centre of the range has served as an area of protection for a healthy and content colony of grey kangaroos. These animals have become fairly tame due to constant visitor attention and are easily approached. The Siding Spring Observatory is on an eastern peak. The area has little light pollution to disturb astronomical viewing. The Warrumbungles hosted the 2006 World Rogaining Championships. The base of the region was formed 180 million years ago. At that time a lake was formed that allowed sediment to slowly compress into sandstone. The Warrumbungles are the remnants of a large heavily-eroded shield volcano which was active from 13 to 17 million years ago. The volcano is estimated to have been 1,000 metres (3,300 ft) high and 50 kilometres (31 mi) wide. It formed as volcanic explosions occurred over millions of years. The remaining complex rocky formations are what is left after millions of years of erosion. 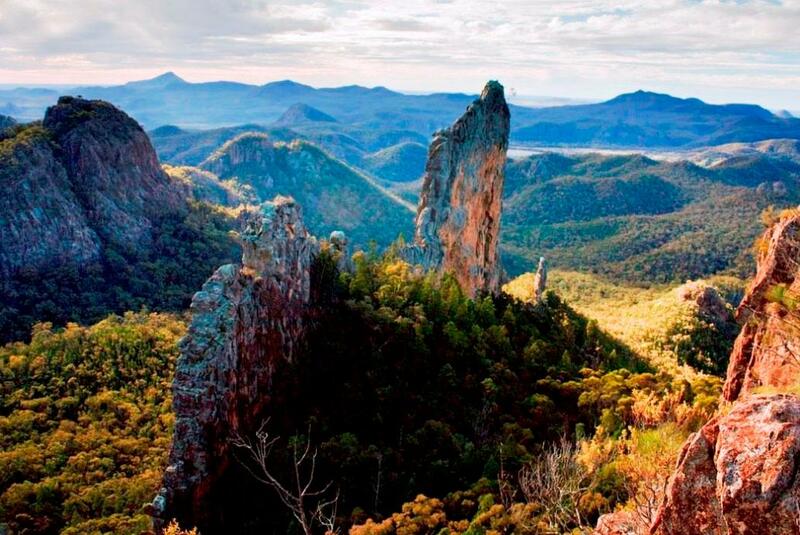 This area is also known as the Warrumbungle-Liverpool Basalt Ranges, which is distinct physiographic section of the larger Hunter-Hawkesbury Sunkland province, which in turn is part of the larger East Australian Cordillera physiographic division. The main features of the Warrumbungle mountains are a series of huge jagged outcrops in a roughly circular pattern, surrounded by hilly bush and woodland forest. Dykes, plugs and domes are common and mostly made from trachyte. The Grand High Tops is a section of the range where volcanic remnants are especially clustered. These vents and rocky formations are all named - Belougery Spire, Belougery Split Rock, Crater Bluff, Bluff Mountain, The Breadknife and Mount Exmouth. Pyroclastic rock is found in this area. The Breadknife, a straight wall of jagged rock nearly 100 metres (330 ft) high, is particularly rare. There is an extensive network of nine walking tracks across the central peaks. Towards the southeast a broad belt of basalt outcrops extends towards the Liverpool Range. Near Chalk Mountain are outcrops of diatomite. Outer stretches of the volcano are made up of hawaiite and mugearite. The first European to sight and explore the area was John Oxley in 1818 on second expedition through New South Wales. Oxley named the range the Arbuthnot Range. The Gamilaroi name Warrumbungles which means 'crooked mountains' became the most common name. Belougery Spire was first ascended by Eric Dark and Osmar White in 1932, and Crater Bluff by Dark and Dorothy Butler in 1936. The Breadknife was not ascended until 1954, by Russ Kippax and Bill Peascod. Climbing on the Breadknife has since been banned, to protect the walking track along its base from rockfall. Lieben, on Crater Bluff, was the most difficult rock climb in Australia for many years after its first ascent by Bryden Allen and Ted Batty in 1962. It was graded 17 — the hardest grade in the Ewbank system at the time — but is generally agreed to be much harder. By 1953, 3,360 hectares (8,300 acres) of the range was recognised for its natural heritage and preserved as Warrumbungle National Park. In 2011, it was reported that the national park is contained within 23,312 hectares (57,600 acres). Australia’s land clearing rate is once again among the highest in the world. Remaining forests and woodlands are critical for much of our wildlife, for the health and productivity of our lands and waters, and for the character of our nation. Beginning in the 1990s, governments gradually increased protection of these remaining forests and woodlands. The State of Queensland has suffered the greatest loss of forests and woodlands. But while stronger laws by the mid-2000s achieved dramatic reductions of forest and woodland loss, recent weakening of laws reversed the trend. Loss of rtinture forest has more than trebled since 2009 . In Victoria, home to four of Australia’s five most heavily cleared bioregions, land clearing controls were weakened in 2013, and in New South Wales, proposed biodiversity laws provide increased opportunities for habitat destruction . Of the eleven world regions highlighted as global deforestation fronts, eastern Australia is the only one in a developed country . This problem threatens much of Australia’s extraordinary biodiversity and, if not redressed, will blight the environmental legacy we leave future generations. Already, Australia’s environment has suffered substantial damage from clearing of forests, woodlands and grasslands, including serious declines in woodland birds and reptiles . Vast numbers of animals are killed by forest and woodland destruction. For example, between 1998 and 2005 an estimated 100 million native birds, reptiles and mammals were killed because of destruction of their habitat in NSW ; in Queensland, the estimate was 100 million native animals dying each year between 1997 and 1999 . As land clearing once again escalates, so too will these losses of wildlife. The loss of habitat is among the greatest of threats to Australia’s unique threatened species, imperilling 60% of Australia’s more than 1,700 threatened species . Habitat protection is essential for preventing more species from becoming threatened in the future, adding to our burgeoning threatened species lists . Habitat removal eliminates the plants and animals that lived in it; increases risks to wildlife from introduced predators; impacts surface and groundwater-dependent ecosystems, and fragments habitat so that individuals are unable to move through the landscape. It also reduces the ability of species to move in response to climate change . Continued and increasing removal of forests, woodlands and grasslands increases the cost of restoring landscapes and reduces the chance of success. For example, the Australian Government has committed to plant 20 million trees by 2020 . Yet many more than 20 million trees are cleared every year in Queensland alone. Forest and woodland destruction increases the threat to some of Australia’s most iconic environmental assets. Coral health on The Great Barrier Reef has declined precipitously from the effects of high temperatures associated with climate change, poor water quality, and the flow-on impacts it triggers (such as crown-of-thorns outbreaks) . Native vegetation removal from catchments that flow into the Great Barrier Reef liberates topsoil and contaminants, reducing water quality and threatening the health and resilience of the Great Barrier Reef . Governments have already spent hundreds of millions of dollars on this problem, with estimates of the full cost of restoring water quality as high as AUD$10 billion . Thirteen years ago, scientists from across the world expressed their grave concern about ongoing high rates of land forest and woodland destruction in the Australian State of Queensland. For a while, the warning was heeded, and the Queensland state government acted to bring land clearing to historically low levels. Today, scientists from across the world (including those listed), in conjunction with scientific societies and the delegates of the Society for Conservation Biology (Oceania) Conference, call upon Australian governments and parliaments, especially those of Queensland and New South Wales, to take action. We call for the prevention of a return to the damaging past of high rates of woodland and forest destruction, in order to protect the unique biodiversity and marine environments of which Australia is sole custodian. The NSW Environment Protection Authority (EPA) has completed the final inspection of Clarence Colliery's clean-up of the Wollangambe River, as the prosecution against the company continues in the Land and Environment Court. The EPA commenced a Tier 1 prosecution against Clarence Colliery Pty Ltd in May this year following a serious environmental incident at the coal mine near Lithgow in July 2015. EPA officers carried out the final inspection on 29 June and on 5 July 2016 confirmed thatconditions of the Clean-Up Notice had been met. The EPA has now advised Clarence Colliery that the clean-up operation of the Wollangambe River can cease. The company is now required to carry out a monitoring program of the Wollangambe River for two and half years to assess the recovery of the river environment. The EPA’s Regional Manager Central West, Richard Whyte said the EPA will be keeping a close eye on these results and will not hesitate to require additional clean-up or rehabilitation work if needed. The EPA has carried out 44 inspections since the incident. “The focus of the EPA’s inspection program has been on making sure the clean-up is not causing further damage to the Wollangambe River and the aquatic ecosystem,” Mr Whyte said. A total of 214 tonnes of coal fines have been removed by hand and the company has made more than 700 trips in a helicopter to airlift bulka bags of coal fines out of the Blue Mountains National Park. The case is next due in court on 12 August 2016. A man found in possession of hundreds of abalone and whelks during a NSW Department of Primary Industries (DPI) fisheries compliance operation, has been fined $8000 in court. The 44 year old man from Melbourne was sentenced in Bega Local Court last month for the offences committed at Merimbula in June 2015. NSW DPI Acting Director Fisheries Compliance, Tony Andrews, said the man was inspected by Fisheries Officers at Merimbula boat ramp and found to be in possession of 83 shucked abalone and 776 whelks. “The man was interviewed and charged by Fisheries Officers, with possess more than possession limit of fish which carries a maximum penalty of $22,000 or 6 months imprisonment or both, and possession of fish in circumstances of aggravation, which carries a penalty of $44,000 or 12 months imprisonment or both,” Mr Andrews said. “All fish were seized and the whelks were returned to the water alive. “The man faced court and was convicted and fined $4,000 for each offence ($8,000 in total). “Over harvesting of inter-tidal shellfish has a detrimental impact on the wider marine eco-system and is disappointing to those fishers who do the right thing. The possession limit per person for abalone is two, with a minimum size limit of 11.7cm. Fishers can also have up to a maximum of twenty whelks. All fishers must also make sure they carry a valid recreational fishing fee with them at all times. “The collection of inter-tidal shellfish is a priority area for DPI Fisheries Compliance. Fisheries Officers will continue to monitor and enforce the regulations in this fishery,” Mr Andrews said. During my last trip to Iceland I got the amazing chance to film a blue whale with my dji phantom 4. Thank you to Magnus Guojonsson from Whale Ambassador with whom that video would not have been possible. 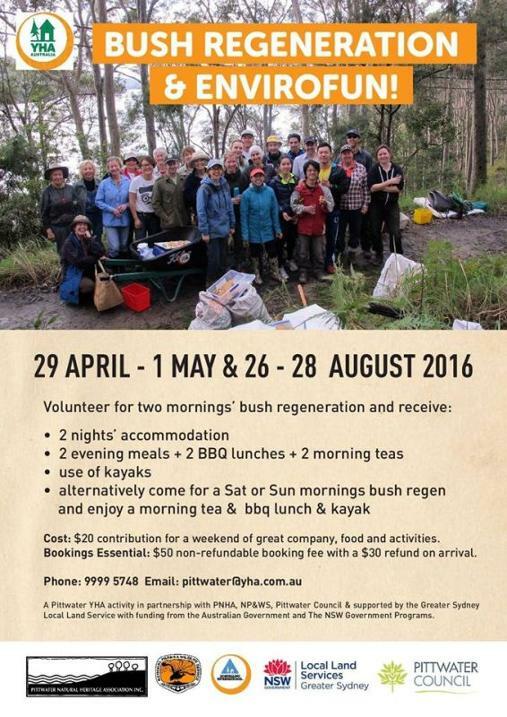 Participate in National Tree Day event from 9am-1pm and help enhance Pittwater’s natural environment. National Tree Day is Australia’s largest nature event. It is organised by Planet Ark and calls on community members to plant trees at selected sites to improve the local green canopy. Where: • Whitney Reserve, access from Whitney Road or Suzanne Street, Mona Vale and • Careel Bay Reserve North (near dog exercise area). Meet at the corner of Etival St and Barrenjoey Rd, Avalon. Please wear suitable clothes such as long sleeves, trousers, sturdy shoes, a hat and bring water to drink. Council will provide refreshments and free native plants for you to take home and plant in your own garden. By 2050 its estimated there will be more plastic than fish in the world's oceans. Most comes from land and was was once in our hands. Refuse single-use plastic and together lets keep our oceans clean. Join over 40,000 people, schools and organisations from 90 countries and let those same hands be part of the solution. From doc: 'Approval is sought to construct and operate a 1 m diameter suction gas pipeline between Appin No. 3 Vent Shaft and the existing gas drainage plant at Appin No. 2 Shaft (approximately 4 km in length). The pipeline will be buried at the surface, for the most part, along Brooks Point Road. South 32, Illawarra Coal (Illawarra Coal) proposes to continue its underground mining operations at the Bulli Seam Operations (Appin and West Cliff Mines), located in the Southern Coalfield of New South Wales, by extracting coal from the Bulli Seam using longwall mining techniques. In order to support the safe and efficient extraction of coal in the Bulli Seam Operations (BSO), Illawarra Coal proposes to optimise the underground extraction and utilisation of methane gas from the mine by implementing the “Mine Safety Gas Management Project” (MSGMP). Installation and operation of the proposed pipeline will enable the existing Appin East gas drainage management system to remain in service for an extended period by reducing the frictional pressure drop and leakage in the pipelines between the mining areas and the gas extraction plant. Considerable benefits in terms of power generation and reduction in greenhouse gas emissions will also result from the Project. To permanently retain, at five (5) sites outside the Pacific Highway alignment in Sapphire Beach and Moonee Beach, surplus material generated during construction of the project. The surplus material has been used to carry out earthworks to create an improved landform. The re-use of the surplus material will ensure the final landform suits its proposed use or improves the amenity alongside the project, and provides beneficial future re-use opportunities at each site. A new children’s book about the lives of endangered shorebirds on the South Coast of NSW will be launched this weekend as part of a project funded by the NSW Environmental Trust and the National Parks and Wildlife Service (NPWS) South Coast Shorebird Recovery Program. ‘The Birds, The Sea & Me’ is a story about the fascinating life of three species of endangered shorebirds that live and breed on South Coast beaches; the Hooded Plover, the Pied Oystercatcher and the Little Tern. The story is told through the eyes of Rikki, a ten-year-old girl, who goes on a journey of discovery about the birds and their beach environment. Rikki learns about what the shorebirds eat, who they share their beach homes with and why they’re endangered. NPWS South Coast Shorebird Recovery Program Coordinator, Jodie Dunn said the book was a fascinating insight into the plight of the endangered shorebirds, achieved by the contribution of six Shoalhaven schools through a number of writing and art workshops in 2015. “This book is a delightful and engaging tale and will connect with young and old alike,” Ms Dunn said. Local artists, Anna Jarrett and Julie Sydenham, worked with the students to create artwork and writing as part of their learning about the endangered shorebirds on their local beaches. “Having the input of the local school kids was a fantastic way to present the plight of our shorebirds to the public,” Ms Dunn said. The NSW Government’s Saving our Species (SoS) program aims to help almost a thousand animals and plants threatened with extinction in NSW. SoS workfocuses on the primary threats to beach-nesting shorebirds and the survival of their vulnerable eggs and chicks, namely predation by foxes and domestic dogs, disturbance by humans, inundation from storm surges and other flooding and native avian predators (mostly ravens and gulls). Hopefully in the near future copies of this great book will be available through National Parks and Wildlife Service Visitors Centres too. Warragamba - a story of our making from WaterNSW on Vimeo. Health Minister Jillian Skinner has today officially welcomed the new Chief Nursing and Midwifery Officer of NSW Health, Jacqui Cross. Jacqui has held a variety of nursing roles within NSW Health since commencing as a Registered Nurse at Prince of Wales Hospital in 1990, including Director of Nursing at the Children’s Hospital Westmead. Most recently, she was Director of Nursing and Midwifery at South Western Sydney LHD. “Jacqui not only brings a wealth of experience to the role, she is also committed to person centred care and the development of effective workplace cultures to support that care,” Mrs Skinner said. “Our nurses and midwives are the cornerstone of the health system, dispensing clinical care and compassion around the clock. “I am delighted to welcome Jacqui as Chief Nursing and Midwifery Officer, where she will lead a passionate team that plays a unique role in driving nursing and midwifery issues across the system,” Mrs Skinner said. Mrs Skinner met with Jacqui today to welcome her into the role and discuss its strategic direction. A new scientific study conducted by a team of leading AIDS scientists reveal results that lead the way to the development of an effective human vaccine against human immunodeficiency virus (HIV). In the study published inNature Medicine, researchers worked with a species of Old World monkeys, rhesus macaques to reproduce the trial results of RV144, the only HIV vaccine that has been tested and shown to reduce the rate of HIV acquisition in a phase III clinical trial. Researchers were interested in not only recapitulating the findings from the RV144 trial, but also determining if replacing the alum adjuvant--a substance commonly found in non-living vaccines known to induce antibody-mediated immunity--with a different adjuvant, MF59 would decrease simian immunodeficiency virus (SIV) acquisition at an increased rate and yield a more efficacious vaccine. Although MF59 is known to help stimulate the human body's immune response, the idea that it could lead to greater vaccine efficacy is a popular working theory shared by scientists worldwide. Rafick-Pierre Sekaly, PhD, the Richard J. Fasenmyer Professor of Immunopathogensis, is a pioneering AIDS researcher, co-director of the CFAR Proteomics and Systems Biology Core, a professor of pathology at Case Western Reserve University School of Medicine. He helped to lead this study which simulated potential HIV infection by rectally challenging the macaques with SIV, the primate form of HIV. Simulation in macaques has been a critical step in progressing HIV research, since the virus does not replicate well in most other model organisms. With this simulation complete, researchers were able to successfully reproduce the RV144 trial results in macaques, ultimately finding that the RV144 vaccine combined with the alum adjuvant reduced the risk of acquisition by 44 percent, which is within the range of the 31 percent efficacy previously measured in humans. However, researchers were surprised to learn that changing the adjuvant to MF59 did not result in a significantly better vaccine, but instead rendered the altered vaccine unable to prevent SIV acquisition at a greater rate and triggered an adaptive immune response only at the site of infection, thereby disproving the commonly believed hypothesis. Importantly, researchers were able to uncover more about the alum group's mode of action in the RV144 vaccine which, to-date, is not fully understood. Researchers discovered a unique association between an intercellular pathway known as Ras-Raf-MEK-ERK (RAS) and the efficacy of RV144. Ten of twelve genes associated with the RAS pathway were expresses within the vaccine and have been shown to trigger several subsets of innate and adaptive responses that, in turn, are associated with a decreased risk of SIV acquisition in the alum-vaccine group. Whether RAS activation is an important hallmark of HIV-vaccine efficacy in humans is an area for further study. According to Dr. Sekaly, "These fascinating clinical results effectively dispel our previous belief that the RV144 vaccine could possibly become more effective with the MF59 adjuvant. Instead, we found that the modified vaccine actually triggered the recruitment of innate cells in the site of infection. Through this research, we were able to confirm the efficacy of the current RV144 vaccine in preventing infection by HIV/SIV in macaques, creating an even clearer pathway to the near-term development of this vaccine for human use." "We have seen that pre-selecting subjects that will benefit from a therapy based on their predicted response or risk of disease is an excellent way to improve potential outcomes," said Dr. Sekaly. "These study results strongly support the notion that personalized and predictive vaccinology will soon become a reality, including in HIV--a disease area for which this type of precision medicine is desperately needed but has not yet been extensively studied." The reclassification of alprazolam, a benzodiazepine used to treat anxiety, as a drug of addiction in Australia has resulted in a reduction in its misuse, a UNSW-led study has found. The study has been published today in JAMA Internal Medicine. Alprazolam, which is better known by its brand name Xanax, is significantly more toxic, has no additional therapeutic benefit, and is increasingly misused compared with other benzodiazepines. Due to concerns about its increasing use, the Therapeutic Goods Administration selectively rescheduled alprazolam from Schedule 4 (Prescription Only Medicine) to Schedule 8 (Controlled Drug) in February 2014, tightening up the restrictions on its prescribing and dispensing. Using a 10% sample of Pharmaceutical Benefits Scheme (PBS) data from February 2010 to July 2015, the researchers analysed the effect of the increased restrictions on the prescribing and dispensing of benzodiazepines as well as intentional poisonings. During the study period, 18,092 Australians were prescribed alprazolam with an average age of 52. Lead study author Ms Andrea Schaffer, a biostatistician and PhD candidate with UNSW’s Centre for Big Data Research in Health (CBDRH) said prior to the rescheduling, there was an average of 34 calls per month to the NSW Poisons Information Centre involving alprazolam. “In the 12 months following the rescheduling of alprazolam, this declined by 50%,” Ms Schaffer said. The study found no significant change in calls to the Poisons Information Centre involving other benzodiazepines. After rescheduling, alprazolam prescribing decreased by 22%. There was also an increase in switching from alprazolam to diazepam and oxazepam, less toxic benzodiazepines. Senior author Professor Sallie Pearson, from the CBDRH, said the study showed the greatest decrease in use was in individuals using alprazolam inappropriately, in the long term. “The findings suggest that when one medicine within a class is more toxic and/or more commonly abused, selective rescheduling should be considered to address its misuse,” Professor Pearson said. Approximately one-third of alprazolam prescriptions in Australia are private and not captured in PBS claims. The researchers said further work was needed to determine how the rescheduling has affected the private benzodiazepine market. Scientists at the Johns Hopkins Kimmel Cancer Center and University of Melbourne report they have used a genetic test that spots bits of cancer-related DNA circulating in the blood to accurately predict the likelihood of the disease's return in some -- but not all -- of a small group of patients with early-stage colon cancer. "Most patients with stage 2 colon cancers will be cured of the disease after surgery alone," says Bert Vogelstein, M.D., co-director of the Ludwig Center at the Johns Hopkins Kimmel Cancer Center. "However, some of these cancers will recur, and we need to improve our diagnostic approaches to detect recurrence earlier than it can be found with current, conventional methods." Labs worldwide are working on DNA-based tests. For the current study, the scientists followed 230 stage 2 colon cancer patients in 13 hospitals in Australia for four years, beginning in 2011, collecting more than 1,000 blood samples from them. After scanning the genetic sequences of tissue taken from the patients' tumors during surgery, the scientists, led by Kimmel Cancer Center graduate student Yuxuan Wang, identified at least one colon cancer-related gene mutation in the patients' original tumor. Over time, they tracked each patient's cancer-related mutation in his or her blood samples, taken between four and 10 weeks after their surgery and every three months afterward for up to two years. The tracking used highly sensitive genetic tests to locate and amplify DNA found there. Patients also underwent a CT scan of their entire body every six months after surgery for two years. "Although this and other DNA-based blood tests are not perfect, this study shows that when we find tumor DNA circulating in the blood of cancer patients, recurrence is very likely," says Nickolas Papadopoulos, Ph.D., professor of oncology at the Johns Hopkins University School of Medicine and member of its Kimmel Cancer Center. Currently, some 40 percent of patients with stage 2 colon cancers are considered at risk for recurrence as a result of measuring how far the cancer has grown into the intestine's wall, the number of lymph nodes examined during surgery, and whether the cancer has spread to blood or lymphatic vessels. Those deemed at higher risk are usually treated with chemotherapy following their surgery, but efforts to demonstrate the benefit of such additional therapies have been hampered by the lack of large-scale studies with the statistical power to show any benefit in terms of survival, say the researchers. "There is mounting evidence that ctDNA is a viable approach for earlier detection of cancer recurrence, and more research is underway to refine the technology, improve its sensitivity and determine the best testing intervals," says Kenneth Kinzler, Ph.D., co-director of the Ludwig Center at the Johns Hopkins Kimmel Cancer Center. There are currently no DNA-based blood tests for cancer approved by the U.S. Food and Drug Administration, although several biotechnology companies are designing and studying them as the result of prior research conducted at Johns Hopkins. Costs of the tests are estimated to range in the many hundreds to thousands of dollars, and it is unclear whether health insurance companies would reimburse costs related to the testing. Kinzler, Papadopoulos, Luis Diaz, and Vogelstein are founders of PapGene Inc. and Personal Genome Diagnostics Inc., and members of the scientific advisory boards of Morphotek and Sysmex-Inostics. These companies and others have licensed patent applications on genetic technologies from Johns Hopkins, some of which result in royalty payments to Kinzler, Papadopoulos, Diaz, Vogelstein and Isaac Kinde. The terms of these arrangements are being managed by The Johns Hopkins University in accordance with its conflict of interest policies. As part of the "Shaping Future" research project, Fraunhofer researchers have developed an original participatory foresight methodology with which laymen can describe their future technology requirements and share them with scientists. Initial results show that people want to have technologies that improve their mental and physical capabilities, protect their privacy and store and transport emotions. For the future success of innovations it is crucial to know how they are accepted by users. To date, there has been a lack of processes for ordinary citizens to exchange ideas with researchers. In the "Shaping Future" research project the Center for Responsible Research and Innovation CeRRI at the Fraunhofer Institute for Industrial Engineering IAO has developed an original participatory foresight methodology which allows just that: People can articulate their wishes and concerns relating to future technical solutions, describe technology requirements and exchange these ideas with Fraunhofer experts. The latter are able to take on the ideas, develop them further and use them for future research work. Using roadmaps, the scientists show which technological steps have been taken and which social and legal conditions must be fulfilled in order to implement the ideas. From many particularly promising ideas designers have produced speculative prototypes in order to present them as interactive exhibits at an exhibition both to a specialist audience and the general public. These can be seen from 30 July until 26 October 2016 in JOSEPHS®, an interactive exhibition space operated in downtown Nuremberg by Fraunhofer and the Friedrich Alexander University Erlangen-Nuremberg. "It's not just a matter of taking part. Anyone developing new technologies must include the people. Otherwise there is a risk that innovations will fail to reflect the user's needs," says Marie Heidingsfelder. At the Fraunhofer Center for Responsible Research and Innovation CeRRI in Berlin, she is responsible for the research project: "The success of the first workshops shows that the method works." Over 100 people of different ages and occupational backgrounds were asked to think about technologies for the year 2053. In four workshops they discussed the topics of relationships with machines, health, work, and sustainable mobility. "The results were very varied. But we were also able to identify overriding themes," describes Heidingsfelder. An important overall finding was that many participants wanted soft technologies that would be as invisible as possible and could also be easily worn on the body. Moreover, an important factor were spatial models which flexibly and individually allow you to withdraw or to interact with other people as required. One idea, for example, were protective capsules for public transport, which could be used in public transport or could be flexibly pulled over the head and body whenever one wants to be sheltered. Technologies that help to improve personal mental and physical capabilities were also in demand. "Against the background of a world that is becoming ever more complex, many people would like a type of "Big Mother" to help with making decisions or dealing with physical strains," reports Heidingsfelder. Finally, there was a call for machines to better pass on human emotions to other people, as a kind of interpreter. For example, in form of transmittable recollection memories, which allow other people to empathize with your own experiences. On the topic of health, there was little mention of doctors and hospitals. Rather, people wanted technologies that allow them to diagnose and cure themselves. "For example, the participants of our workshop envisioned the hospital of the future as a drive-in variant," says Heidingsfelder. To project the participants into the year 2053, the project team inspired the participants with futuristic pictures, products and research projects -- from films, artistic designs and insights into research laboratories. With the aid of creative methods, storytelling and design research techniques, the participants developed specific solutions for scenarios in 2053 -- for example, in the case of the health workshop, for illnesses. In the large material store of CeRRI, each participant assembled a first prototypic object of a favorite idea in order to illustrate its function and operating interface. "The method envisions that different types of people interact. On the one hand, we had a very heterogeneous group of participants and, on the other, an interdisciplinary project team developing new methods at the nexus of design and social science," remarks Heidingsfelder. Experts in the fields of microelectronics, optics, materials, logistics, information technology, production, ergonomics, and medicines carefully examined the prototypes. They identified those they considered particularly interesting, innovative or sustainable and thought about what a technological solution could look like. The "Shaping Future" research project is supported by the Federal Ministry of Education and Research. "The participatory foresight methodology can be transferred to different key areas in order to include the requirements of users in innovation and research strategies," says Heidingsfelder. The above is reprinted from materials provided by Fraunhofer-Gesellschaft. Australia is home to 10 of the most venomous snakes in the world and thousands of dogs are bitten each year in Australia. That number that die is set to reduce significantly thanks to a new anti-venom developed by CSIRO. Thankfully the number of people who die from snake bites has significantly reduced over the past few decades as medical expertise has advanced and anti-venoms are more readily available. Our pets however are still at risk as treatments can be expensive and not as effective as they could be. CSIRO scientists worked with Padula Serums Pty Ltd, a small biotech company in regional Victoria to produce an anti-venom to treat Eastern Brown and Tiger snake bites. Image caption: Eastern Brown snakes are one of the most venomous snakes in the world. Dr Andrew Padula of Padula Serums said that working with CSIRO helped turn his idea into a reality. "I've been working on anti-venom serums for dogs and cats for a while now but I really needed the expert equipment and skills of the CSIRO scientists to make the best product possible," Dr Padula said. Prof George Lovrecz from CSIRO's manufacturing team explains that this new process is much more effective that those currently on the market because it is distilled and concentrated to create a pure, fully-tested anti-venom which is ready to be injected into snake-bitten dogs. "We used the latest technologies to make sure that the anti-venom is not only safe and effective but it's also a lot cheaper to produce compared to existing products," Prof Lovrecz said. With this more effective and lower cost product, more dogs will be able to be saved from deadly snake bites. Once final testing has been completed and the anti-venom has been given approval for sale from the Australian Pesticides and Veterinary Medicines Authority it will be available on the market and stocked by vets around the country. This new treatment could also have applications for treating humans for snake bites or against the toxins of paralysing ticks and CSIRO scientists are also researching the possibility of using a similar approach to treat other viruses like Ebola. CSIRO is looking to partner with other biomedical companies to explore these applications further. Small business looking to access research capability from CSIRO or other Australian research institutions, might be eligible for a grant through CSIRO's SMEconnect team. NSW will be the first Australian state to ban greyhound racing from 1 July 2017. A special Commission of Inquiry into the greyhound industry in NSW found overwhelming evidence of systemic animal cruelty, including mass greyhound killings and live baiting. The report states up to 20 per cent of trainers engage in live baiting and 180 greyhounds a year sustain injuries during races, such as skull fractures and broken backs that result in their immediate deaths. The report also found that between 48,000 and 68,000 greyhounds – or at least half of all greyhounds bred to race – were killed in the past 12 years because they were deemed uncompetitive. Premier Mike Baird said the government would announce a detailed industry shutdown plan during the second half of 2016 following consultation with stakeholders in industry and animal welfare organisations. “We are left with no acceptable course of action except to close this industry down,” Mr Baird said. • a transition arrangement for existing Greyhound Racing NSW assets that will ensure they are used for open public space, alternative sporting facilities or other community use. The NSW Government will prepare and consult on legislation to be presented to Parliament to shut down the industry’s operation and appoint an administrator for Greyhound Racing NSW. The safety of children in remote communities has improved through a mobile child protection unit being trialled in western NSW. A team of seven Mobile Child Protection Unit (MCPU) caseworkers have been working with local caseworkers to triple the number of home visits to vulnerable children in the area. The expanded team and the changed working arrangements have allowed staff to spend 23,808 casework hours in 2015, compared to 16,214 during the same period in 2014. Minister for Family and Community Services Brad Hazzard said there was an immense challenge in dealing with extremely disadvantaged families. “While it’s early days we know that more families around Bourke, Brewarrina, Walgett and Cobar are receiving a home visit from a caseworker and that speaking with family about the wellbeing of a child improves their future safety,” Mr Hazzard said. The MCPU caseworkers are based in Dubbo and travel to communities to complete child protection assessments as the primary caseworker. Local caseworkers retain responsibility for supporting families and act as the secondary caseworker. The separation of the roles enables the local caseworker to support the family and spend more time engaging with them to build ongoing relationships. Find out more at the NSW Department of Family and Community Serviceswebsite. UNSW Wallace Wurth Lecture to be delivered by Stan Grant. The title of Mr Grant’s address for the University’s flagship public lecture series is ‘From Reconciliation to Rights: Shaping a Bigger Australia’. A Wiradjuri man, Mr Grant’s latest book, Talking to My Country, is a powerful and personal meditation on race, culture and national identity. Stan has reported on some of the world’s biggest stories as a multi-award winning foreign correspondent. Since returning to Australia he has won a Walkley award for his coverage of Indigenous affairs. He is Managing Editor of National Indigenous Television, Indigenous Affairs Editor at The Guardian and International Editor at Sky News. Mr Grant has established himself as an authoritative national voice as Australia works towards holding a referendum on constitutional recognition of Aboriginal and Torres Strait Islander peoples, having been appointed to the Referendum Council. He is also Chair of Indigenous Affairs at Charles Sturt University. The Wallace Wurth Lecture series is named after Wallace Charles Wurth, the University's first Chancellor. This is a free event but RSVP is essential. - Alumni and Public book on preceding link. We are expecting great interest from the community for this event, tickets are limited and bookings are restricted to two tickets per person. The state’s first Health and the Arts Framework was launched today at the NSW Art Gallery by Health Minister Jillian Skinner. The framework will guide the integration of the arts into the NSW health care system by supporting collaboration between local health services and the arts sector. “Art already plays an important part in the patient journey in NSW hospitals and health facilities,” Mrs Skinner said at the launch. “There were currently more than 100 health arts initiatives underway in hospitals and health facilities, many of which she had personally experienced on visits to facilities around the state,” Mrs Skinner said. “I am excited about the Framework because it will ensure that NSW continues to lead the way in using the arts to improve the health of our rural, regional and metropolitan communities,” she said. Deputy Premier and Minister for the Arts Troy Grant said the health benefits of art are well known and this framework will ensure those benefits are felt throughout our public health system. “In many aspects, NSW is blazing new trails when it comes to what a hospital looks and feels like for patients and the arts will play a pivotal role in this new era,” Mr Grant said. Along with the Framework, Mrs Skinner introduced NSW’s first Health and The Arts Exchange – an online portal for contemporary arts, health information and activities in local communities. “The Exchange includes a wealth of information from across NSW and internationally and is designed to support a dynamic, world-class music, arts and health services community,” she said. Mrs Skinner also announced an additional $500,000 in dedicated funding for local health districts and specialty health networks to create health and arts projects. 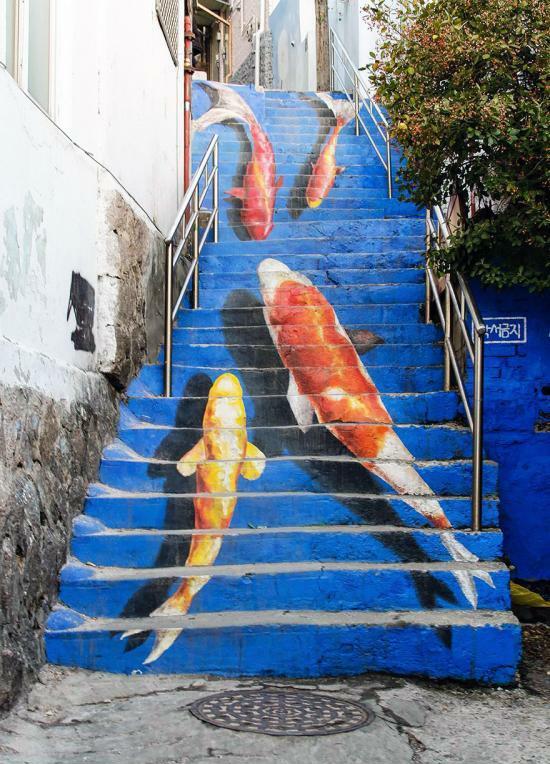 While collaboration between health and the arts has long been close to Mrs Skinner’s heart, the community’s positive reaction to the project had taken her by surprise. During the Ordovician period, the concentration of CO2 in Earth's atmosphere was about eight times higher than today. It has been hard to explain why the climate cooled and why the Ordovician glaciations took place. A new study, published in Nature Communications, shows that the weathering of rock caused by early non-vascular plants had the potential to cause such a global cooling effect. Non-vascular plants, such as mosses, hornworts and liverworts, probably evolved during the Ordovician period, around 450 million years ago. They are older than vascular plants, such as trees and grasses, and together with lichens, which are a symbiosis of fungi and algae, they formed the earliest terrestrial vegetation. Today's successors of these organisms are distributed worldwide and are characterised by their ability to survive in environments in which the supply of both water and nutrients is scarce. They are found in both cold and warm desert regions and are able to grow on rock surfaces and the bark of trees. Although they do not have real roots, they affect the surfaces on which they grow: the release of various organic acids dissolves underlying rock minerals. This process of dissolution and chemical transformation of rock minerals is called chemical weathering. Non-vascular plants and lichens may considerably increase weathering rates of the rock surfaces on which they grow. This has important implications for the climate system, since chemical weathering of silicate rocks such as granite results in a drawdown of atmospheric CO2 and may therefore lead to global cooling. During the weathering process CO2 dissolves in water as acid, and is then transported to the ocean where the carbon is buried as carbonate rock. Consequently, it has been hypothesised that early non-vascular vegetation caused an interval of glaciations at the end of the Ordovician period, when they became globally abundant. Without the drawdown of atmospheric CO2 caused by the enhancement of weathering rates, the Ordovician glaciations are hard to explain, since they started under conditions of eight times higher atmospheric CO2 than today.